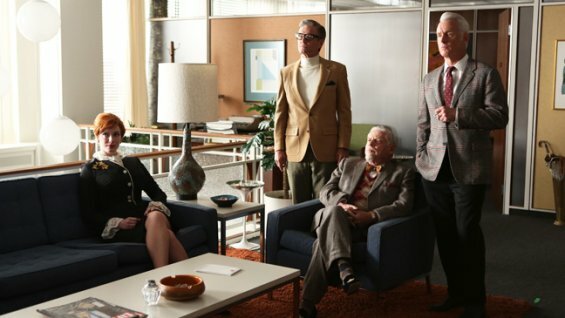 In our final Mad Men podcast, Tobi and I discuss the season 6 finale, "In Care Of." This was, by far, my favorite episode this season. While much of general consensus for season 6 is dismal at best, I did enjoy these 13 episodes. For one, this season made me like Pete more than ever before. I have always been less than thrilled with Pete, especially after his driving school/adultery in season 5, however, season 6 did an excellent job of showcasing the Pete character and it a light that I probably haven't been willing to see before. I like the struggle we see with Joan trying to find her place in SC&P. She isn't a secretary, but is she a budding account man? I mean, "what exactly do you do here?" is the question many ask her and others throughout the season. Joan is important in the office; in many ways, she is the glue that holds it together. From a narrative standpoint, Joan is an excellent foil for Peggy and I truly enjoy the scenes they share with each other (and not just the ones from this season either). I love this above shot. Like I mention on the podcast, I feel Don has really come into the fatherly role and this completely represents that. I know there are some critics out there who feel Don isn't the best of fathers, and maybe he isn't ideal (but who is? ), however, this season made me want to revisit the entire series from beginning to end, which I dove into after the finale. 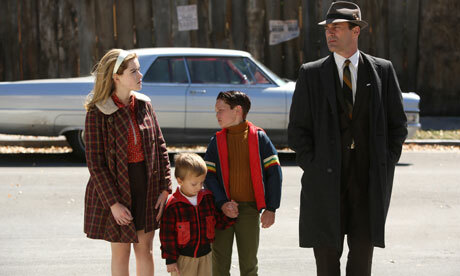 Throughout the five seasons, especially those first three, I see Don attempting to engage with his children and I feel like he is attempting to be a better father than his own, which is emphasized with the numerous flashbacks Weiner gives us. I like Don, even with his unfaithfulness. This final shot made me truly excited for the final season, where I feel there are endless amounts of opportunity for the storyline to go. And, this final Talking Mad post wouldn't be complete without at least one more gif. This was probably one of my most favorite funny moments of the season, making me like Pete more and more! -Molly Lambert from Grantland discusses the finale, with some awesome vintage photos! I want to give a big thank you to Tobi and SpaceLion for inviting me to podcast with them and for doing all the hard work of editing each cast and doing excellent write ups on the site as well. This was a total blast! 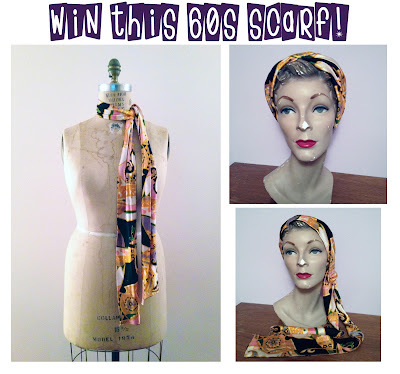 Don't forget to enter the giveaway for a Joan worthy scarf! 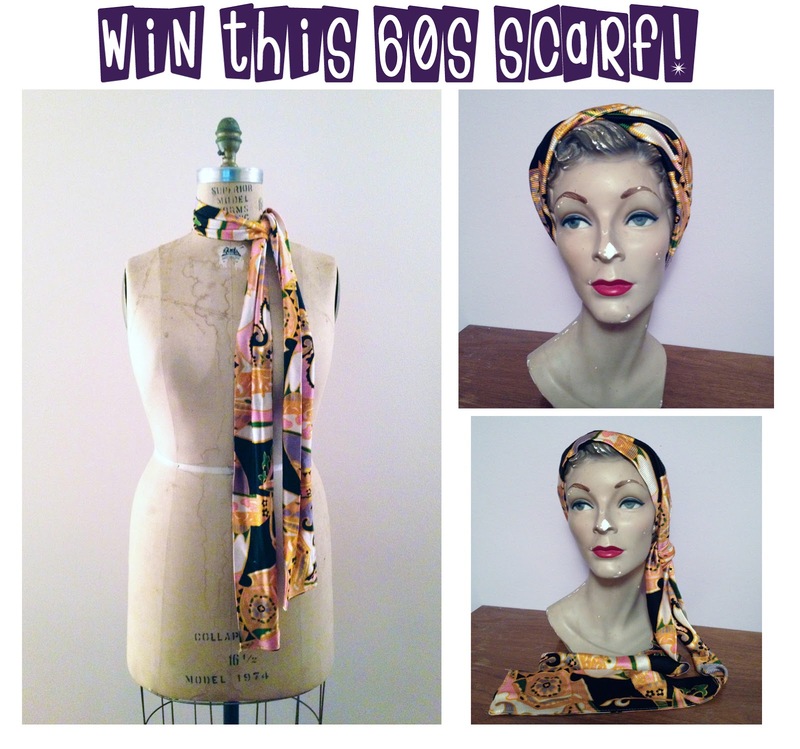 Today is the last day to enter; giveaway closes at midnight.